SGRC multi-client applications reduce the cost for individual utility participants by joint funding of common portions of the research and analysis framework development. Business model analysis is conducted independently for each utility participant. Dramatic PV cost reductions, popularity of third-party ownership arrangements, tax incentives and other factors are responsible for year-over-year doubling, or more, of PV installations in many states. Residential solar PV installations are growing nationally at 70 percent year-over-year and are expected to reach 1.3 million by the end of 2016. Approximately 400,000 systems were added in the US in the past year. Nearly every utility will soon face business model challenges ranging from net metering revenue loss to additional investments in voltage control to accommodate PV clustering along feeders. Utilities in Hawaii, California, New Jersey, Arizona, New York, Massachusetts, North Carolina, Ohio and other states are already dealing with PV-related issues. The new SGRC Business Model Impact Analysis study will provide utilities with the most likely scenarios for PV growth and business model impacts in their service areas. Anticipating revenue and operating issues provides the knowledge to modify or develop PV policies that limit the negative business model impacts experienced by other utilities. Reports include a review of recent PV and battery market developments and a discussion of likely future developments based on comments from industry experts. 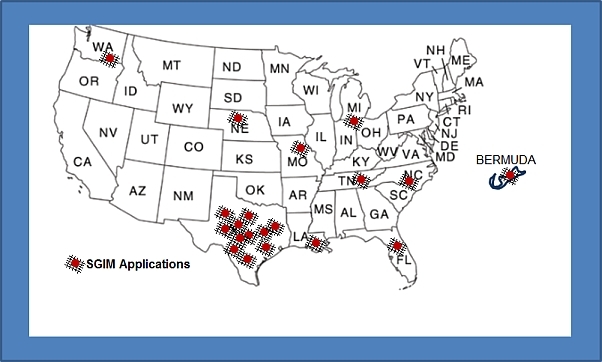 Applied at more than 100 energy-related organizations including utilities, equipment manufacturers, state and federal regulatory agencies and other energy-related organizations. Applied for leading solar and distributed energy companies including Geostellar, Sun Edison, Sungevity, Sharp, Toyota, Ingersoll Rand, United Technologies, Bloom Energy, Ice Energy, Aisen and many more. Early project subscription costs are in effect until January 15, 2016 beginning at $7,000 for utilities with fewer than 100,000 residential meters with graduated cost depending on residential meter counts. Subscription costs begin at $8,500 after January 15. Study results will be provided to participating utilities beginning March 15. Contact Jerry Jackson for additional pricing and study description. Click Here to see additional information on the Solar PV Forecasting Service and the Consortium’s Solar PV Forecasting Model. SGRC has completed smart grid strategy development and business case analysis for 20 electric utilities. 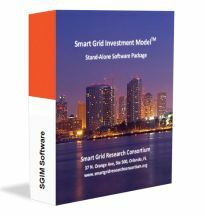 Smart Grid Research Consortium Executive Strategy Assessments guarantee savings in grid modernization strategies. Assessments apply SGRC experience gained in 20 coop and public utility business case analyses along with information on over 200 smart grid applications compiled in the SGRC Smart Grid Experience Database. Onsite presentation of Assessment findings and recommendations including financial evaluations. Executive Assessment presentations and reports provide utility management and executives information on smart grid application costs and benefits to support planning, prioritization of projects and general assessments of smart grid options. Internal rate of return, net present value, payback, cash flow, cumulative net benefits and other financial measures are provided for smart grid project components including AMI (as appropriate), CVR, demand response and other applications. Will AMI/smart meters savings be enough to justify considering a full deployment? Do my wholesale rates and substation/feeder loads provide enough financial incentive to consider CVR? Are my wholesale rates and customer end-use loads sufficient to justify investigating demand response programs? Which investment areas provide the greatest reduction in costs? What are my options for low cost-CVR and limited customer engagement programs? Can I reprioritize planned smart grid initiatives to reduce cash flow demands? What are my options for outsourcing the various smart grid support services and how do costs and benefits compare? How can I avoid the 9-12 month day-on/day-off CVR-Volt/VAR data collection to accelerate savings? What is the potential for various customer demand response programs and what kind of participation will I have to achieve to make them cost-effective? More on Consortium Products and Services. SGRC is independent consulting firm, providing unbiased, objective smart grid utility investment advice consistent with our Texas A&M University roots as a research and service organization develoted to assisting coops and public utilities in addressing smart grid investment challenges. SGRC's use of the SGIM, research database and experience in 20 business case project provides the most cost effective business case analysis. SGRC also provides initial executive-level evaluations to assess basic smart grid investment options prior to the comprehensive SGRC turnkey analysis. The SGRC is an independent, objective research and consulting firm with headquarters in Orlando, Florida. The SGRC was founded by Dr. Jerry Jackson at Texas A&M University in 2010 as a research and service project to assist municipal and cooperative utilities with smart grid investment analysis. The SGRC transitioned to private sector consulting in January, 2011. The SGRC continues to be managed and its research led by Dr. Jackson, an energy economist with more than thirty years' experience in new energy technology market analysis, financial model development, utility program development and project management. He was previously a professor at Texas A&M University, chief of the Applied Research Division at Georgia Tech Research Institute, and president of a consulting firm where he has worked with utilities, state regulatory agencies, equipment manufactures and others in addressing energy industry issues. In addition to Consortium research support staff, additional project team members are assembled from academic and industry organizations to provide expertise for research topics and applications analysis. More on Consortium Leader/Research Team. SGRC business case and financial analysis is conducted using the Smart Grid Investment Model(TM) (SGIM) , and extensive knowledge of coop and municipal/public utility smart grid investment issues gained in twenty electric cooperative and public utility business case applications. The SGIM provides comprehensive, quantitative financial analysis of AMI/smart meters, customer engagement programs including pricing and demand response, distribution automation, CVR and Volt/VAR optimization. Analysis results include quarterly detailed costs and benefits, internal rate of return, net present value, payback periods, discounted payback periods, benefit/cost ratios, cumulative net benefit by quarter and dozens of tables and charts. The SGRC maintains each utility's Smart Grid Investment Model to ensure that any future analysis can be completed without "reinventing the wheel," saving both time and money required to maintain up-to-date business case assessments recognizing new technologies and vendor proposals. As an option, the Smart Grid Investment Model can be installed at client utility sites after completion of model implementation and analysis. The model is delivered, online training sessions are conducted and Consortium staff is available to offer telephone support. This option is provided to clients who wish to have in-house access to SGIM investment analysis.